Below you fill find all funeral homes and cemeteries in or near Highlands. Zip codes in the city: 77562. Some of the notable people born here have been: Brett Marshall (baseball player). It was disclosed by The Lufkin Daily News on September 9th, 2018 that Dorothy Lee Tony Alsbrooks (Sebesta) passed on in Highlands, Texas. Ms. Alsbrooks was 86 years old. Send flowers to express your sorrow and honor Dorothy Lee Tony's life. It was revealed on March 15th, 2017 that Doris E Farmer passed away in Highlands, Texas. Farmer was 80 years old and was born in Enterprise, MS. Send flowers to express your sympathy and honor Doris E's life. It was revealed on May 12th, 2013 that Larry Clenon Debrow passed away in Highlands, Texas. Debrow was 47 years old. Send flowers to share your condolences and honor Larry Clenon's life. It was disclosed by The Daily Oklahoman on February 5th, 2012 that Jerry Lynn Adams died in Edmond, Oklahoma. Adams was 74 years old and was born in Highlands, TX. Send flowers to share your condolences and honor Jerry Lynn's life. It was reported on August 9th, 2011 that Elvin Charles Simons died in Highlands, Texas. Simons was 74 years old and was born in Mays Landing, NJ. Send flowers to express your sympathy and honor Elvin Charles's life. In the 1950s local business decreased and the population decreased to 2,723. Highlands housed military members and war plant personnel during World War II. In the early 1970s Highlands had 3,462 residents and 66 businesses. 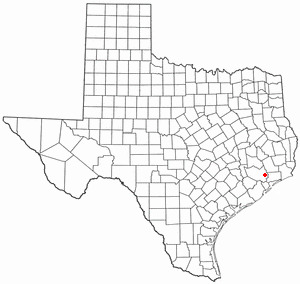 Highlands, also known as Elena, is a census-designated place (CDP) located along the Missouri Pacific Railroad, north of Texas State Highway 73, and west of Farm to Market Road 2100 in an industrialized area of unincorporated area Harris County, Texas County, Texas, United States. The population was 7,089 at the 2000 census. The community was named Highlands because the east bank of the San Jacinto River, where Highlands is located, has a higher elevation than the west bank of the river. By 1908 Highlands became a station on the Beaumont, Sour Lake and Western Railway. Find a Funeral Home inHighlands, Texas TX to provide the caring burial and ceremonial services your family deserves. We work with local florists and flower shops to offer same day delivery. You will find budget sympathy flowers in Highlands here. Our funeral flowers are cheap in price but not in value.